Penn Central no. 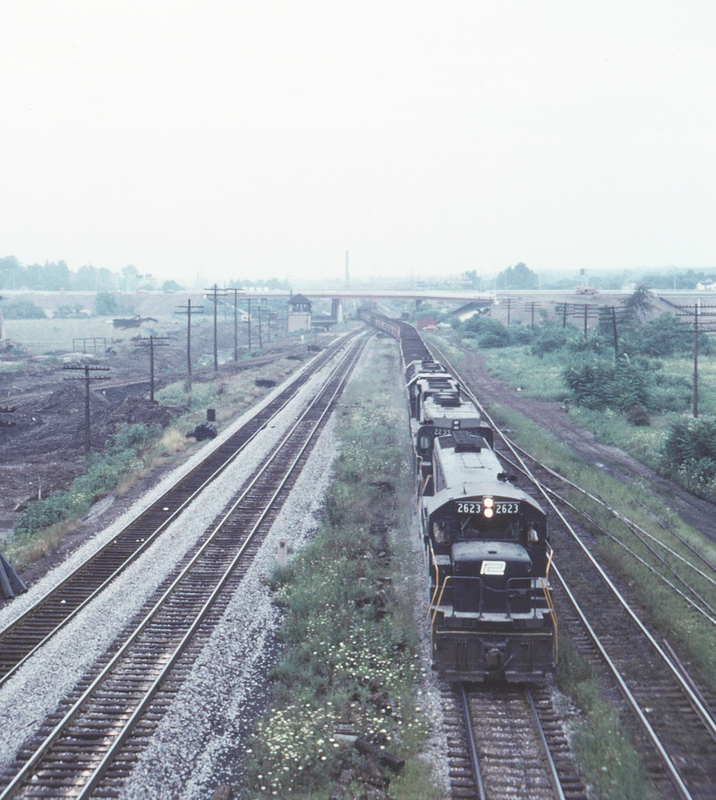 2623 leads a train of hoppers south through Valley Street (VY) interlocking in Youngstown, Ohio on the former New York Central's Ashtabula line. The Erie mainline is at the left. This view is looking north from the Oak Street bridge.